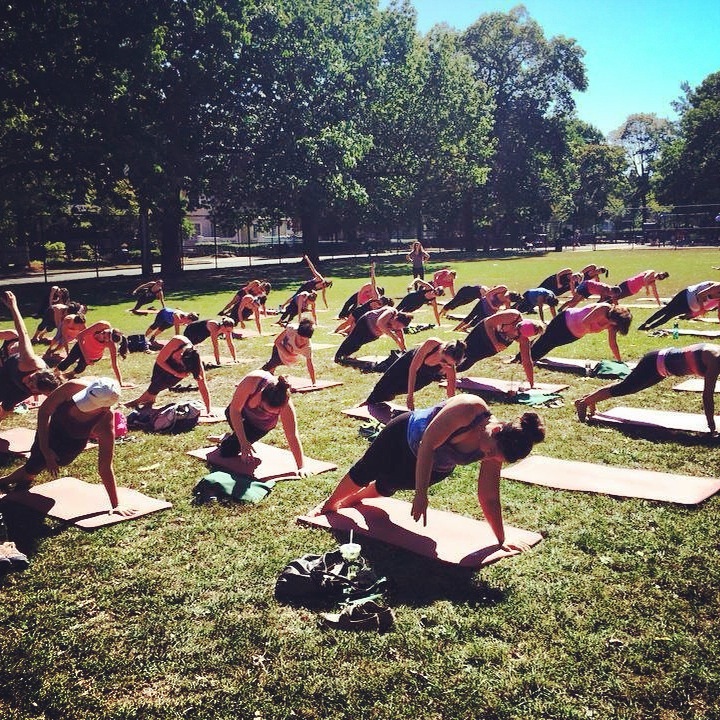 Yesterday, I got to attend “PB in the Park” a charity Pure Barre class and nutrition workshop put on by PureBarre Wellesley, Newton & Brookline. First of all, it was a gorgeous day to be outside so that in itself set the event up for success. Rachel Roberts and her PB team couldn’t have organized a better couple hours outside. When I arrived at Winthrop Park, it was a sea of red mats all perfectly aligned for class. SweetGreen had provided the team free totes and coupons to hand out to all the ladies as we arrived. The PB Teachers were collecting donations and anyone who contributed received a raffle ticket that made you eligible to win a variety of Pure Barre and David’s Tea goodies. We started off with a nice hour of lifting, toning, and burning (lots of burning) by Hannah, Ali & Jill followed by a nutrition workshop by local health coach and soon to be PB teacher, Stephanie Ferisin. 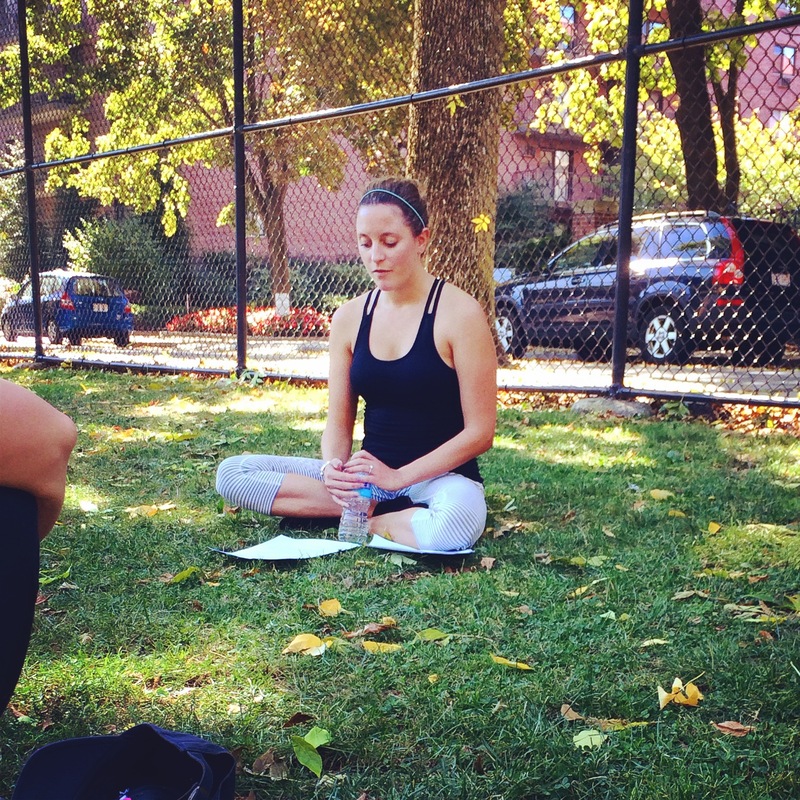 Stephanie’s class was called, “Ditch Diets: True Nourishment of the Mind and Body.” It focused on finding a balance between what you eat and your individual lifestyle. Stephanie broke down some of the common diet myths and gave us a quick overview of what food groups/types we should incorporate into each meal of the day. She also talked about the importance of having fun and making time for yourself because that impacts your overall health and your daily eating habits. She encouraged us to “play” often and to listen to our bodies to recognize things in life that bring us happiness and peacefulness. Once we had a good sweat session and learned a lot about nutrition and mindfulness we got to sample goodies from David’s Tea; what better perfect way to spend a Sunday morning? 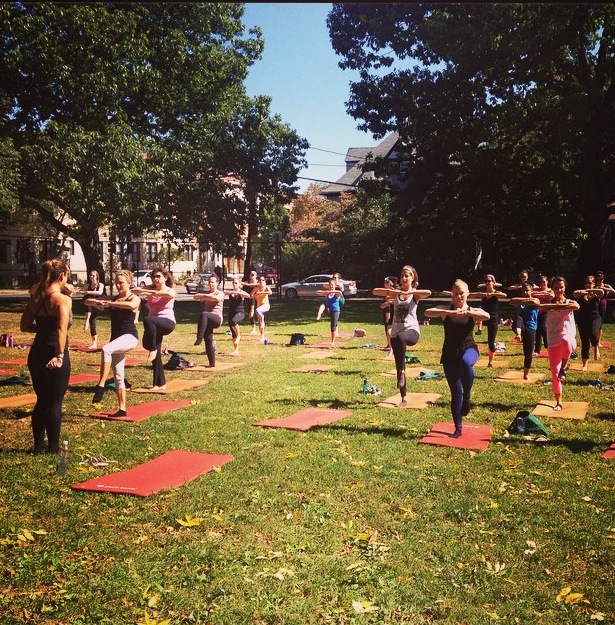 All of the donations collected at this class went to the MSPCA on behalf of Pure Barre & Pure Give!